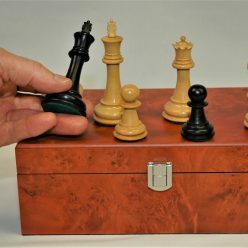 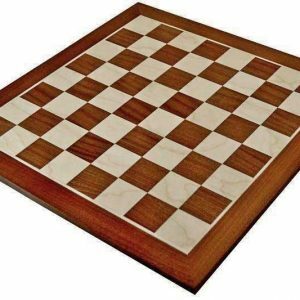 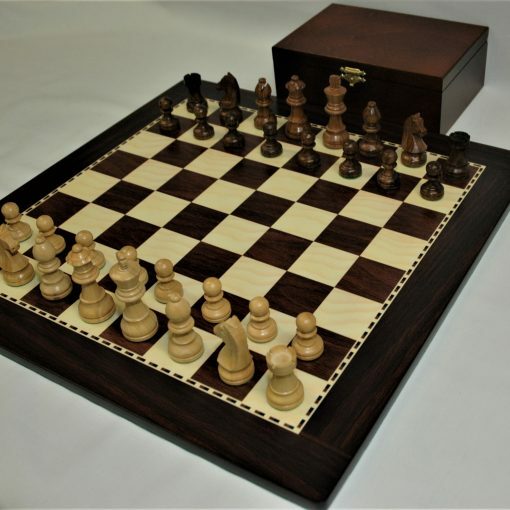 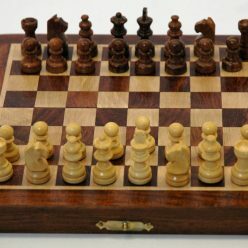 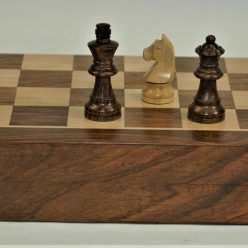 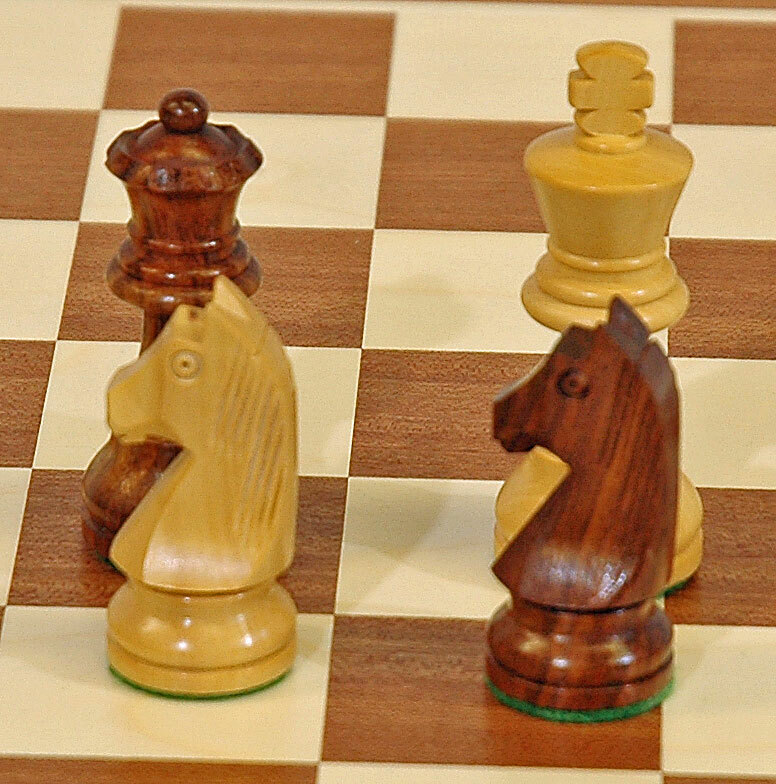 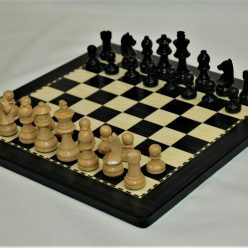 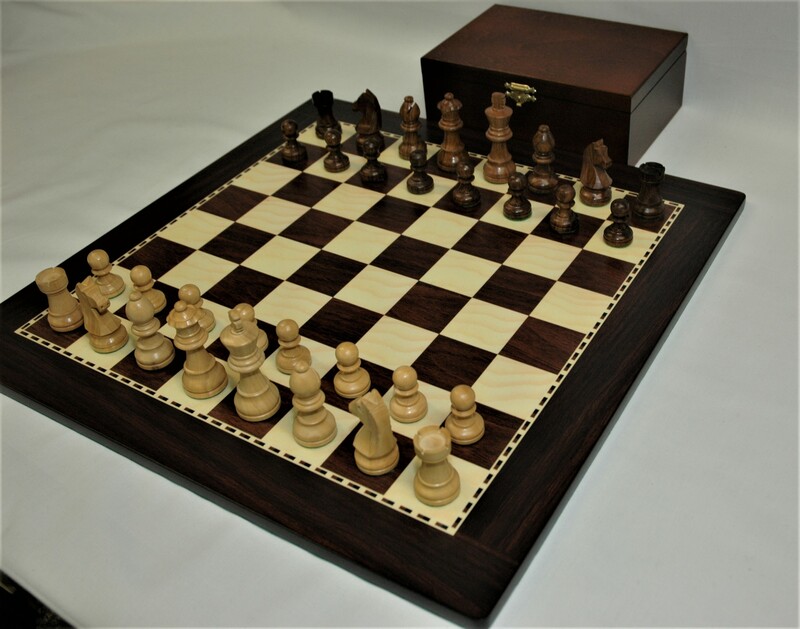 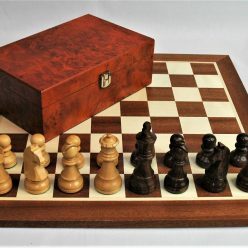 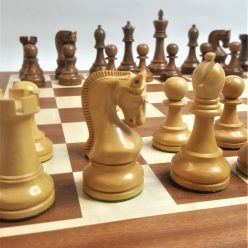 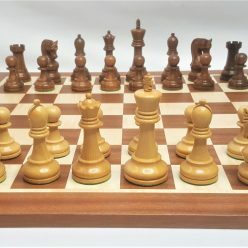 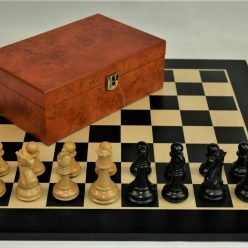 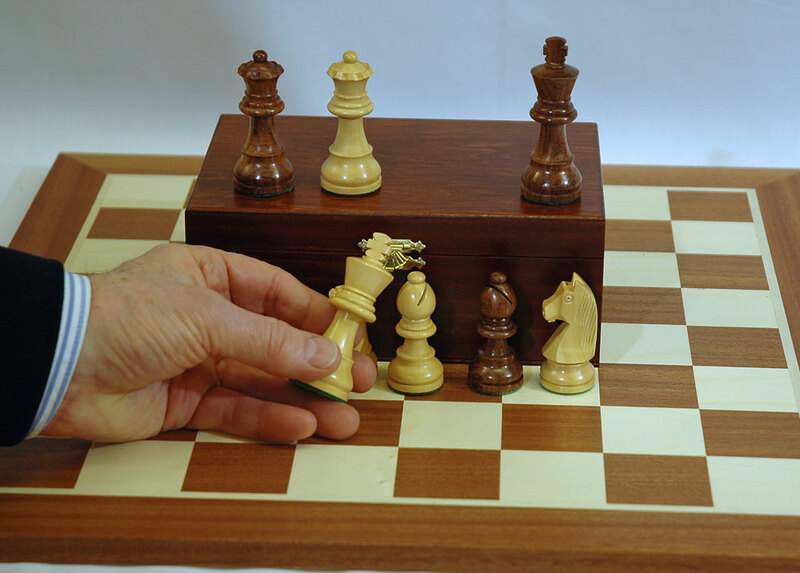 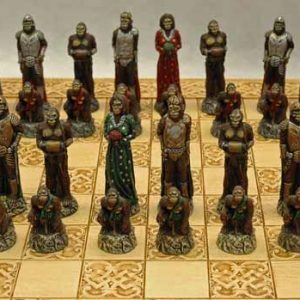 We have teamed our 3” Sheesham pieces with our 16” Inch Walnut and Maple chessboard. 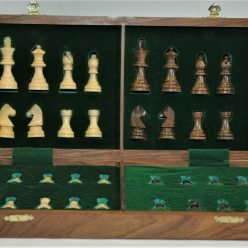 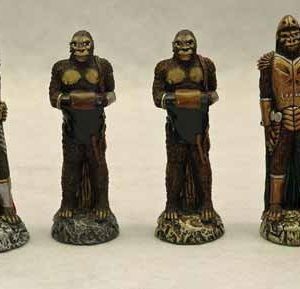 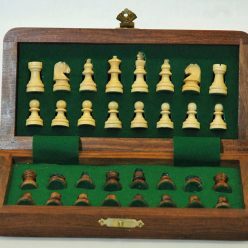 The Sheesham and Boxwood pieces of this set are weighted and feature the Staunton style knight. 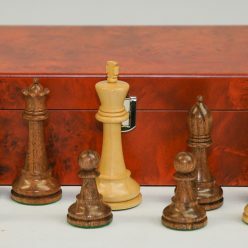 All pieces have felted bases for ease of playing. 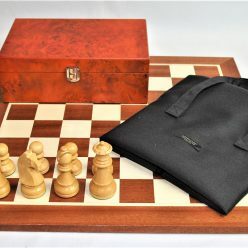 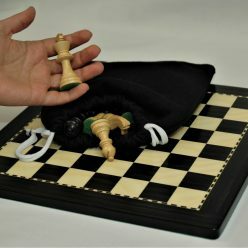 Complete with a wooden box to store the pieces safely and a cloth bag for the Chess board. 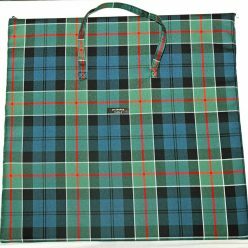 Colour and pattern of the bags differs almost on a daily basis. 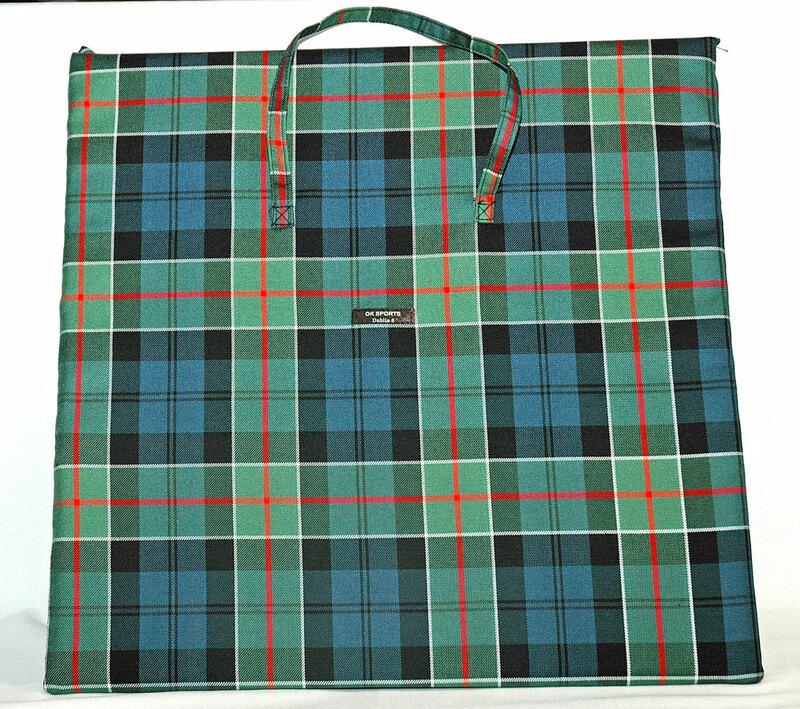 The bag shown is for display only. 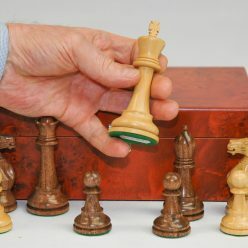 Boxwood, hard, heavy, fine-grained wood usually white or light yellow, that is obtained from the common box.